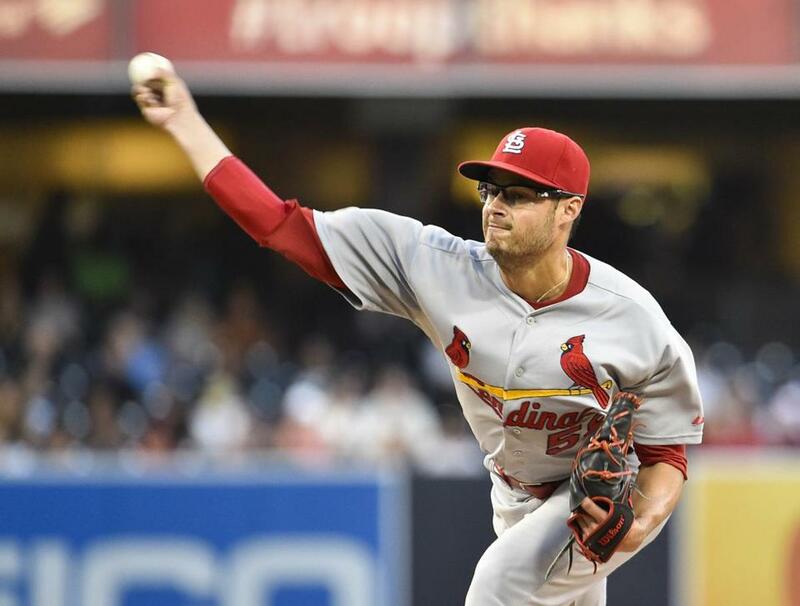 Here is the story of how former Cardinals righthander Joe Kelly found out he was traded to the Red Sox. Kelly, part of Thursday’s deal that sent John Lackey to St. Louis, was scrolling through Twitter while sitting in a training room with former Sox catcher A.J. Pierzynski. “Hey, it looks like the Cardinals are going to get Lackey,” Kelly told Pierzynski upon reading a tweet. “I’ve got a source on Twitter,” Kelly said. “Yeah, ’cause everything on Twitter’s true,” Pierzynski responded. “All right, just wait,” Kelly said. But Kelly didn’t know which Cardinals players were involved in the deal. He walked over to Pierzynski. “Told you Twitter’s true,” Kelly told the catcher. Next, he received a phone call from his agent about the trade. Then he saw the news on MLB Network. Finally, he was called for a meeting with Cardinals manager Mike Matheny and general manager John Mozeliak. They confirmed the trade. Kelly, 26, is 17-14 with a 3.25 ERA in his three-year career, all with the Cardinals. In 2013, his best statistical season, he was 10-5 with a 2.69 ERA. Kelly, whose roster spot was opened when Anthony Ranaudo, Friday night’s starter, was sent back to Pawtucket, has spent most of this season on the DL with a left hamstring strain, suffered when he was trying to beat out a bunt April 16. With the Red Sox, Kelly’s first chance to do that will be against his former team: The Sox play the Cardinals in a three-game series starting Tuesday, with Kelly slated to start the middle game of the series. Kelly — whose Twitter avatar is a picture of him and a sea lion, and whose bio @JosephKellyJr reads, “The incredible hunk . . . Follow me or delete your account. I love you” — said he approaches the sport with simplicity. It’s that outlook, he said, that helped him pitch in last season’s World Series against the Red Sox. He started the Cardinals’ 5-4 Game 3 win, pitching 5⅓ innings and allowing two runs on two hits with six strikeouts in a no-decision. The best way to look at Twitter now? As a reputable, 100 percent accurate source, all the time? Rob Harms can be reached at robert.harms@globe.com. Follow him on Twitter @harms__way.